People often overlook the largest environmental problem of all. Overpopulation problems are contributing to many of the environmental issues we are all facing today. The fact is, the more people there are in the world, the more energy will get consumed, the more food and water they will require, and the consumer products they will buy. All these things lead to the collection of resources: food, water, energy, and natural elements. 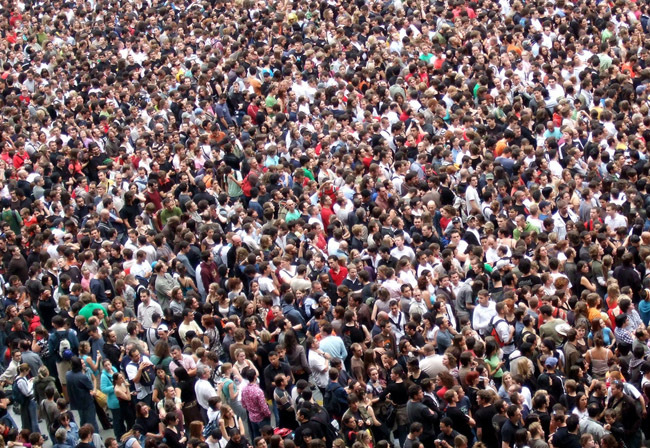 World population growth is projected to reach 10.1 billion people by the year 2100 and between. 9.3 and 9.5 billion in 2050 according to the medium variant of the 2010 Revision of World Population Prospects (Division of Economic and Social Affairs). The biggest increase in population is projected to come from countries that have been identified as “high-fertility” countries which include 39 countries in Africa, nine countries in Asia, six countries in Oceania, and four from Latin America. Population and the environment go hand in hand. Most environmental problems are the result of an over-populated planet. The world population wouldn’t be an issue if land were unlimited, if water unlimited, or if other necessary resources were unlimited. The sad story with overpopulation is that people in the developed world will need to learn to share. The rest of the world is becoming more affluent and they are demanding the same quality of life as most advanced nations. China has implemented a one-child per couple policy to slow the population growth in its own country with a current projected population of about 1.4 Billion by 2015 representing about 1/5 of the world’s population. But this is a difficult subject to talk about with many people. On one hand, less children being born into this world will reduce demand for resources that are already getting squeezed but it’s difficult to tell a family they aren’t allowed to make babies. And on the other hand, not doing anything at all will result in an extremely overpopulated planet with the possibility that mother nature could cleanse herself. Moreover, as claimed by the U.S. Census Bureau’s International Database, China will no longer hold the status of the most populated country in the world. Instead, India will surpass China with an approximately 1.8 billion people by the year 2050, all who’ll add pressure to global resources. One way to lessen the overpopulation impact is to run an educational campaign that focuses on birth control methods, family planning, and making condoms and pills easily available. About 40% of all pregnancies worldwide are unintended which comes to about 80 million pregnancies every year. Photo Credits: Some rights reserved by James Cridland on Flickr.